I think my daughter is more prepared for Eid then I am this year, to be honest. She has been trying out different cake recipes. I have been too swamped with orders from Zibbet* and my other shops to take some time to prepare. Today, she made us this chocolate graham cracker cake, but when it was all done, it looked like it could use a pop of color. While we waited to taste the deliciousness that I’m sure is on the inside, we spent the afternoon designing and coming up with this Eid cake banner. This was so easy and inexpensive to make (the chipboard stickers were our only expense, and they really are worth their cost, I promise) that we are going to make more for the cakes my daughter wants to make for friends over the weekend. The hardest part now is the waiting for tonight to dig into this cake! We started by measuring our cake so we could find out what words we could write. 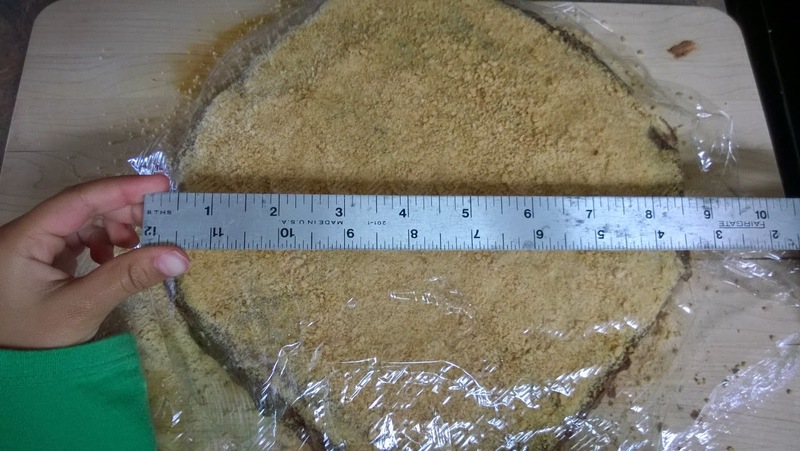 Our cake was 9 inches wide. 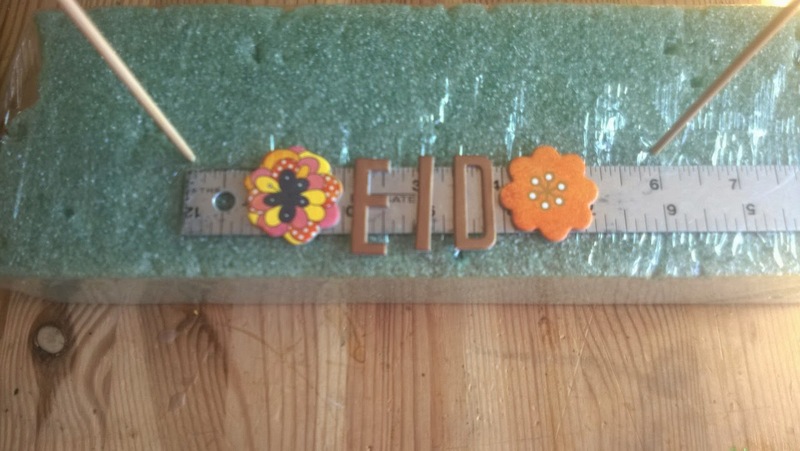 I had wanted to write Eid Mubarak (blessed Eid), but our letters are too big. We decided to stick with just Eid. Place your skewers in your florist foam six inches apart. 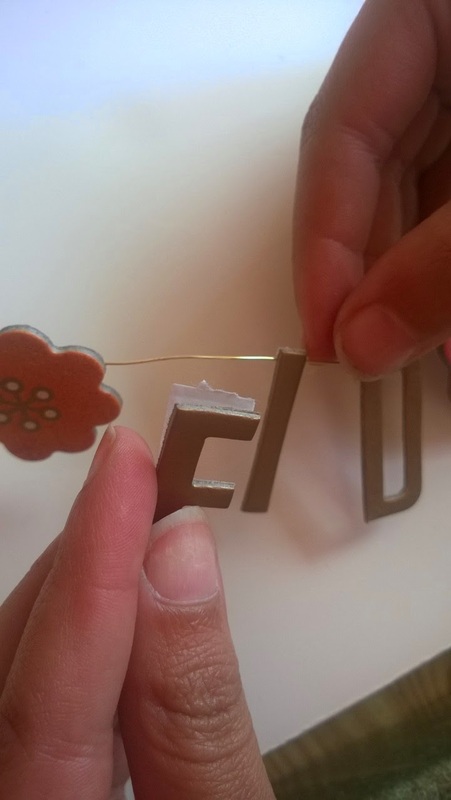 Our chipboard letters popped right out of their sheet and we were lucky that the backing came with them. 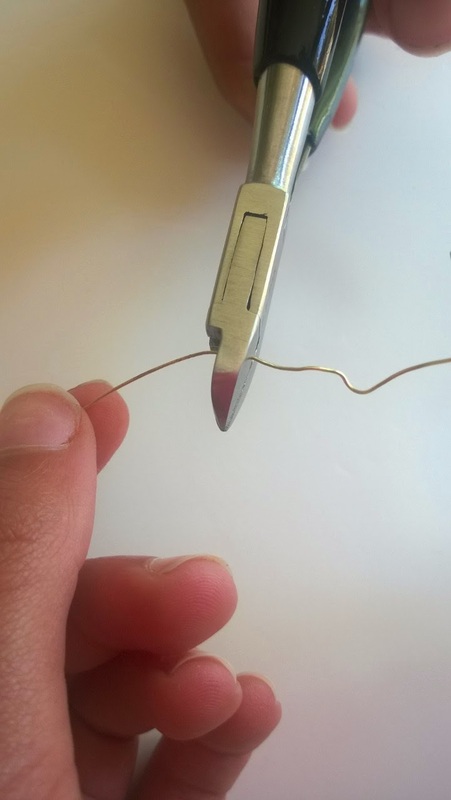 If you letters don’t come off with the backing, use your scissors to cut out the backing as you’ll need it. Check the spacing of your letters and flowers to make sure they fit. Cut a piece of gold wire 12 inches long. 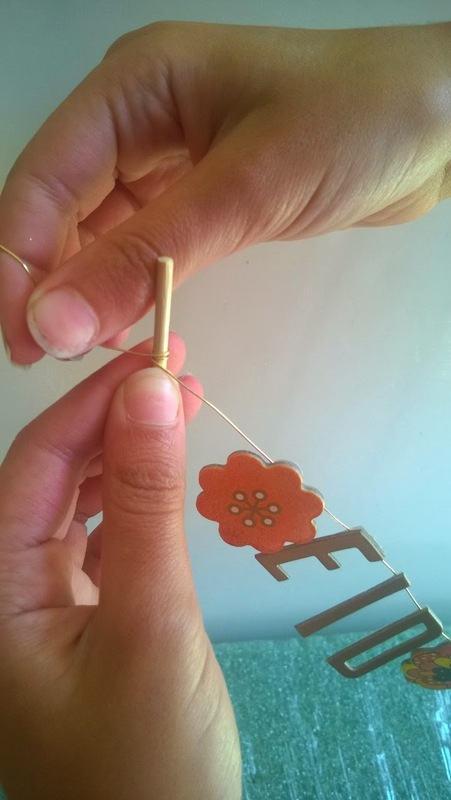 Gently pull back only the top part of the sticker backing and place the wire inside. Press the sticker closed again with the wire in-between. 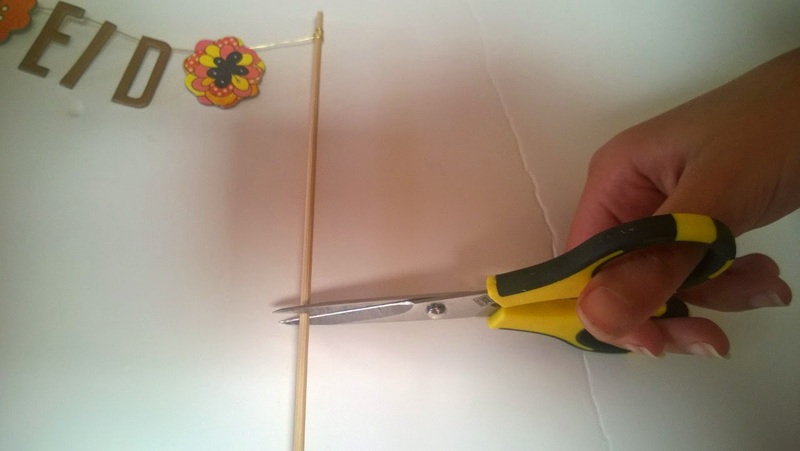 Wrap the wire around the skewers and cut off any excess ends. Cut your skewers in half and place each end in the cake. 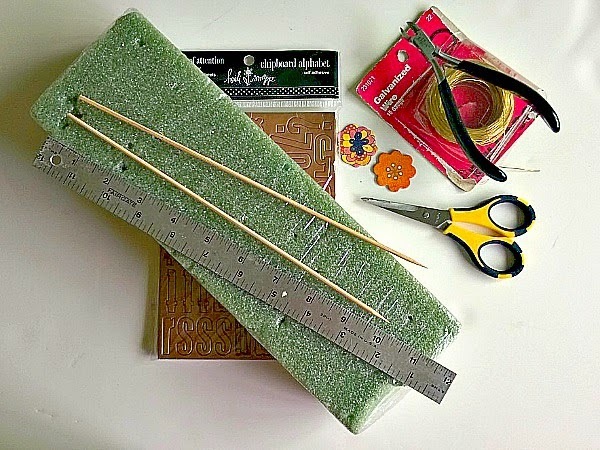 Stop by A Crafty Arab on Pinterest for more tutorials to create.